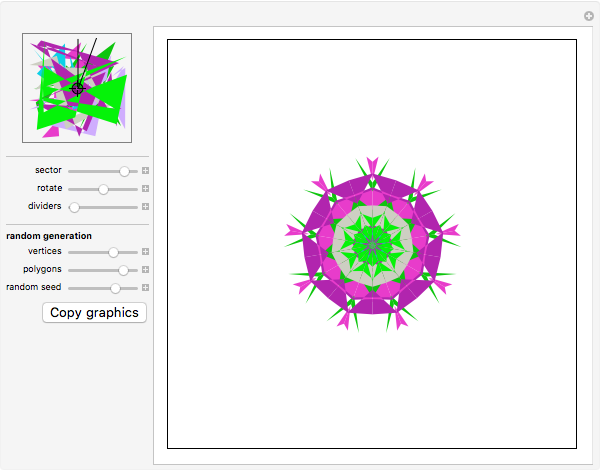 This is a simulation of what one might see when looking at polygons through a kaleidoscope. 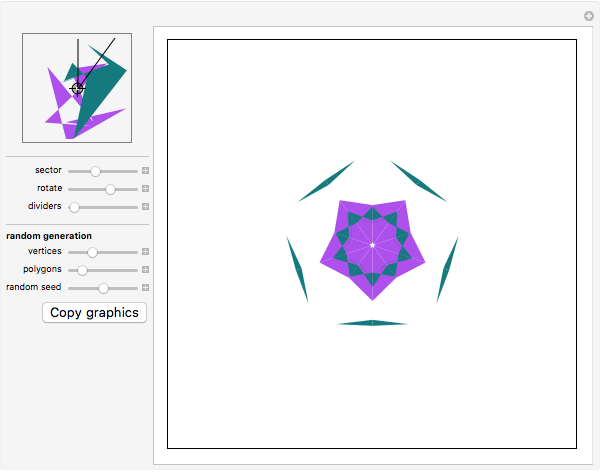 The pieces of polygons that lie inside the sector are reflected repeatedly. 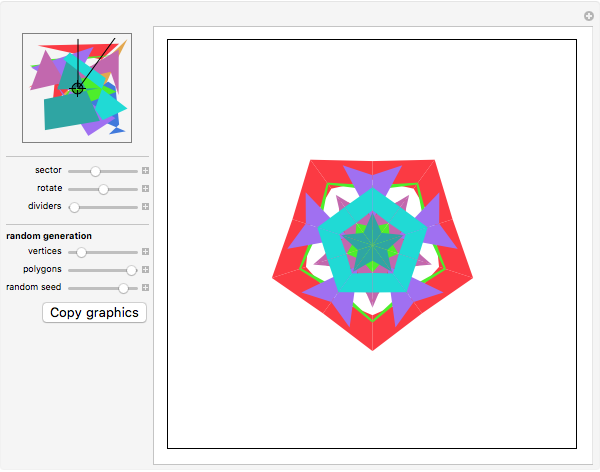 The images produced, especially when many differently colored polygons are used, are truly kaleidoscopic.